It’s no secret that Albertans love their trucks — take a look on any road or in any parking lot and you’ll see more than a few F-150s. It’s no small feat to stand out, but that’s where Team Ford’s Extreme Team Customs comes in. If you like custom lifted trucks, look no further. Our Extreme Team is composed of a number of skilled and creative automotive experts who know how to turn dreams into reality. As a matter of fact, the Extreme Team’s motto is, “If you can dream it, we can build it!” And while the Extreme Team can handle any sort of personalization, from interior to exterior, aesthetic to performance, we know custom lifted trucks best. Come visit us to find out what sort of options we have for making your truck your own. Hard performing, custom lifted trucks have multiple benefits outside of just looking awesome. A lifted truck means more ground clearance, allowing you to power through our long Alberta winters worry free. Sitting higher also gives you a better view of the road, not to mention a greater ability to clear obstacles (a must if you take your vehicle off road). Another benefit to having a lifted truck, is improved towing. You won’t see a huge jump in capacity, but a higher centre of gravity makes towing substantially easier, safer, and more comfortable. As well, a lifted truck requires bigger tires which will absorb impact and irregularities on the road with ease. Overall, you will have a smoother drive. Custom running boards will help you get in and out of your truck, while also adding yet another option for a custom look. If you are considering buying a new truck, or just tricking out your current truck, Team Ford’s Extreme Team does custom lifted trucks right.  So after you check out a few of the customs we’ve already done, come by Team Ford and chat with us today to find out how we can make your Ford truck unique.